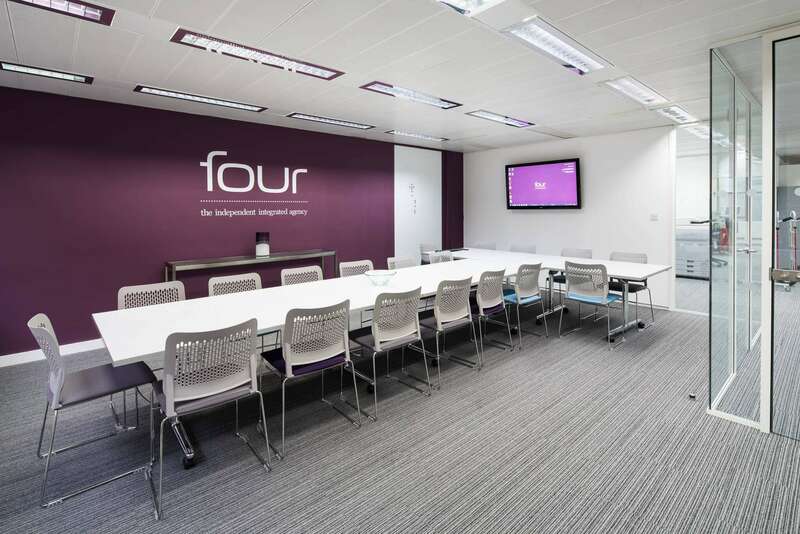 Four Communications Group commissioned Office Profile to extend their existing office design onto their newly acquired ground floor level. 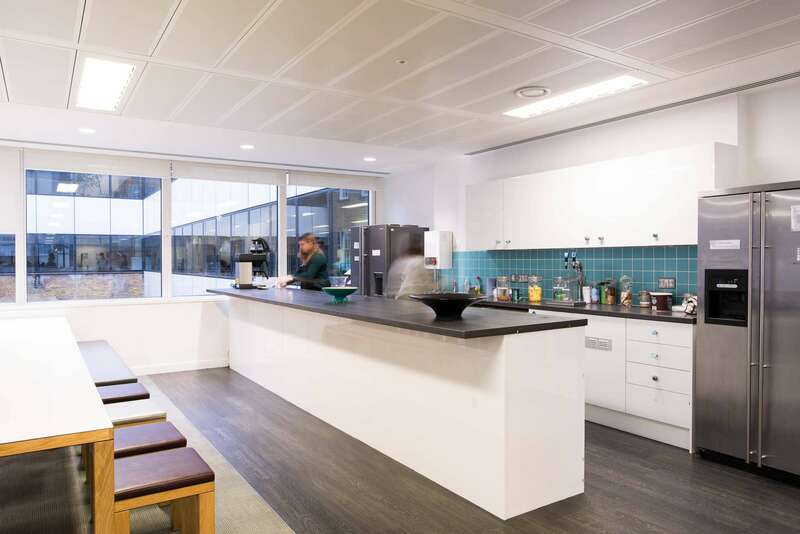 Office Profile had previously carried out the first floor refurbishment so were the perfect team to expand it to the next floor. 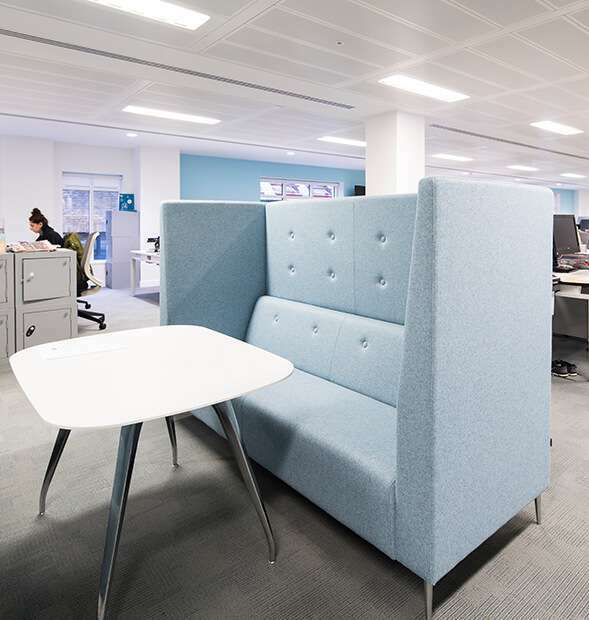 The brief from the client was to continue the theme of their corporate brand colours, but update it with collaborative working spaces and unconventional designs or layouts. 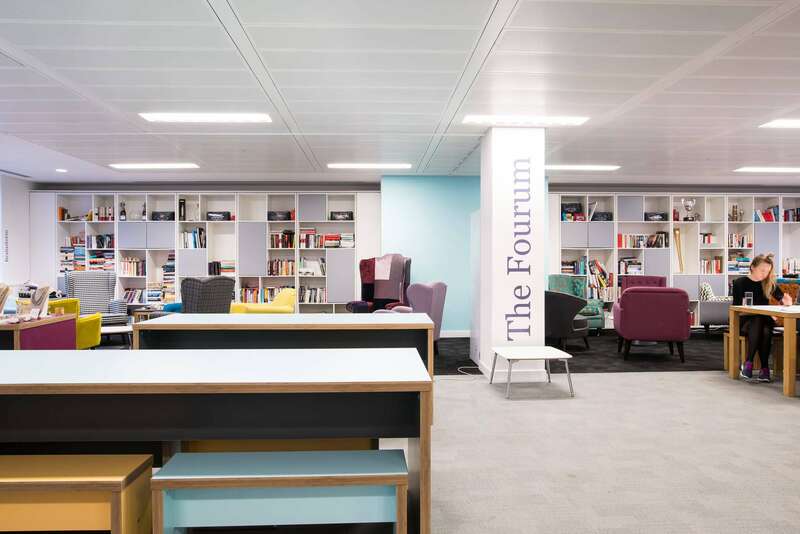 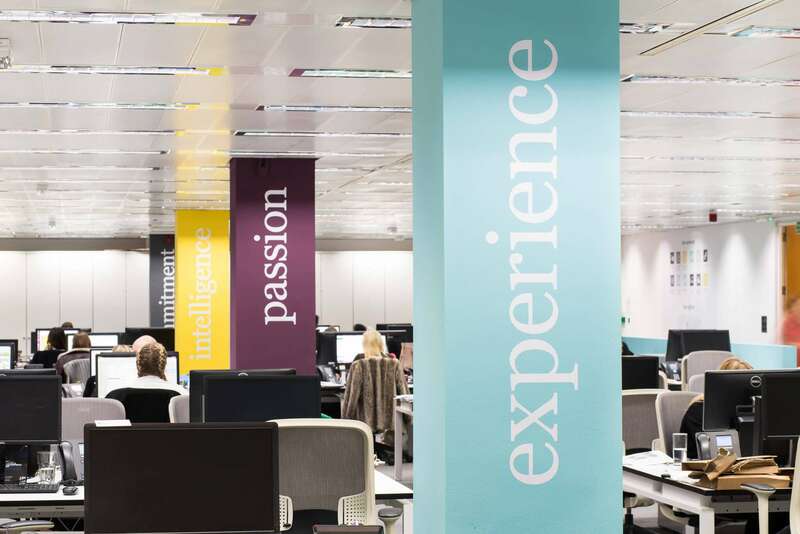 The ground floor featured Four’s values printed on the floor-to-ceiling pillars throughout the office. 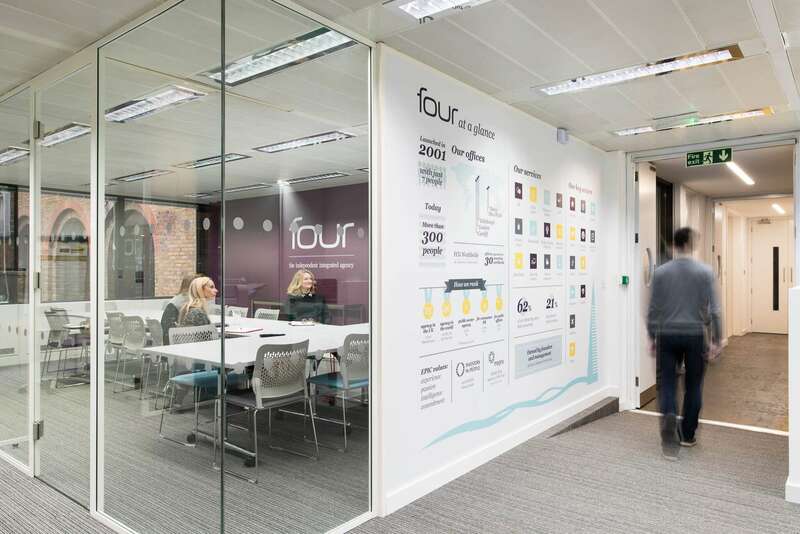 We installed vinyl wall graphics in many of the areas including the meeting rooms, main office and gaming room. 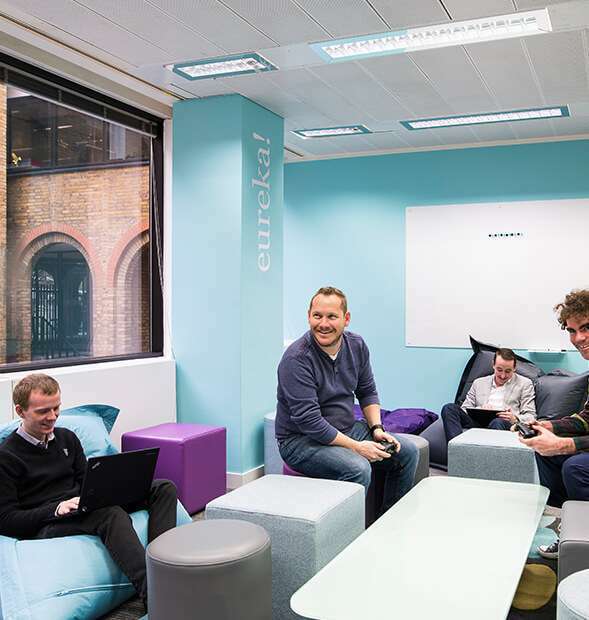 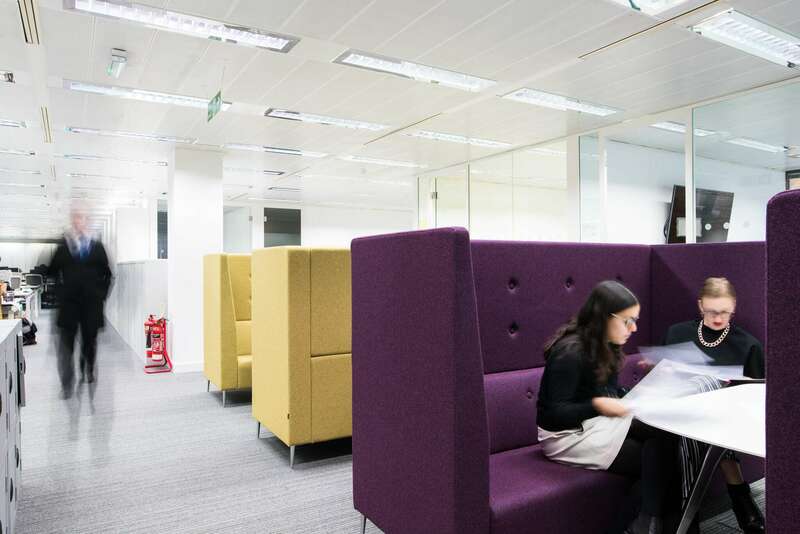 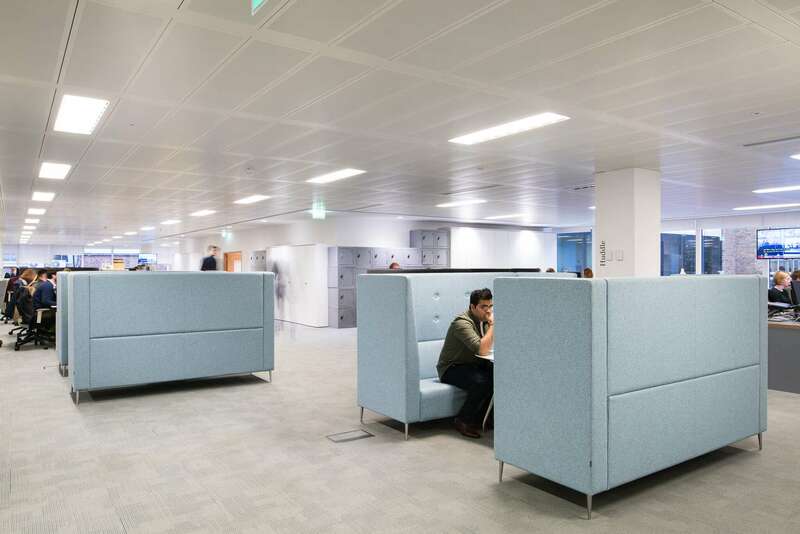 Huddle sofas were installed, creating private yet informal meeting spaces, just to the side of the main office area. 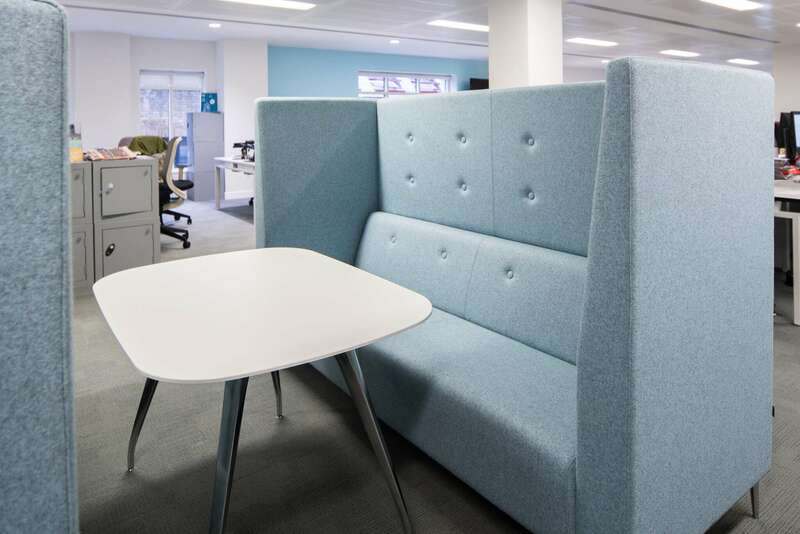 These booths block exterior sound, keeping meetings private and also prevent coworkers from being disturbed. 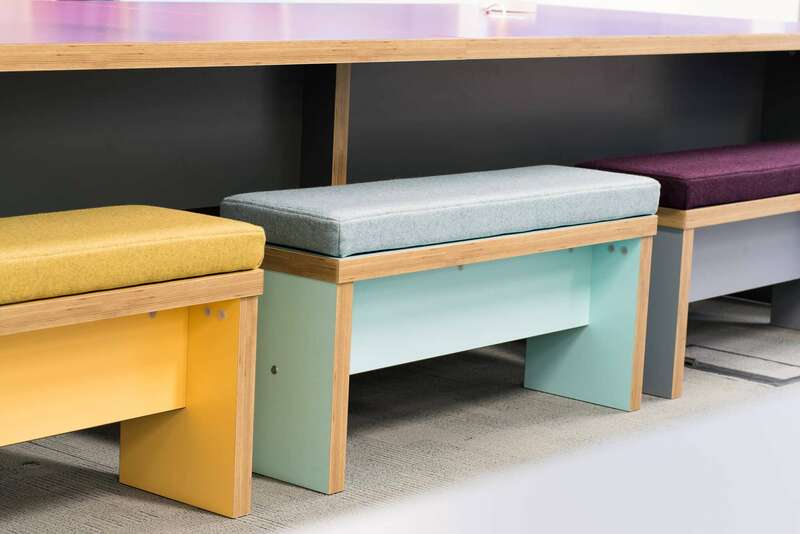 As another addition to the collaborative working theme, we installed Feast benching with upholstered bench seats. 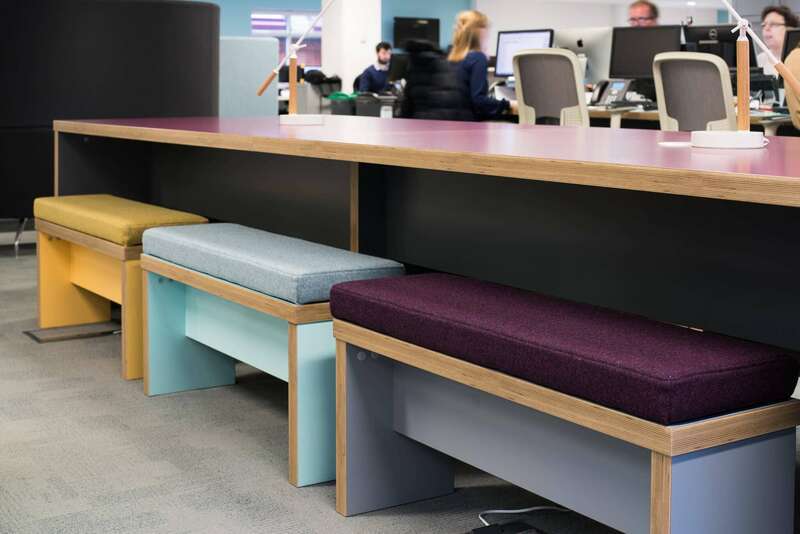 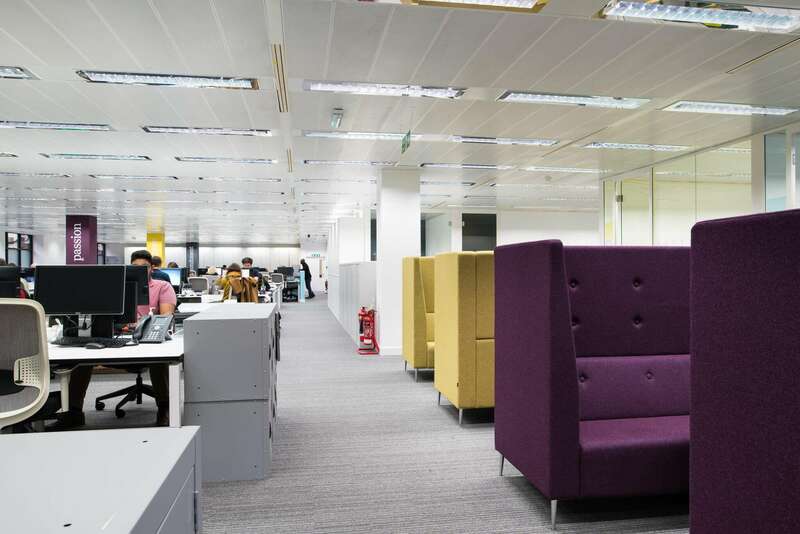 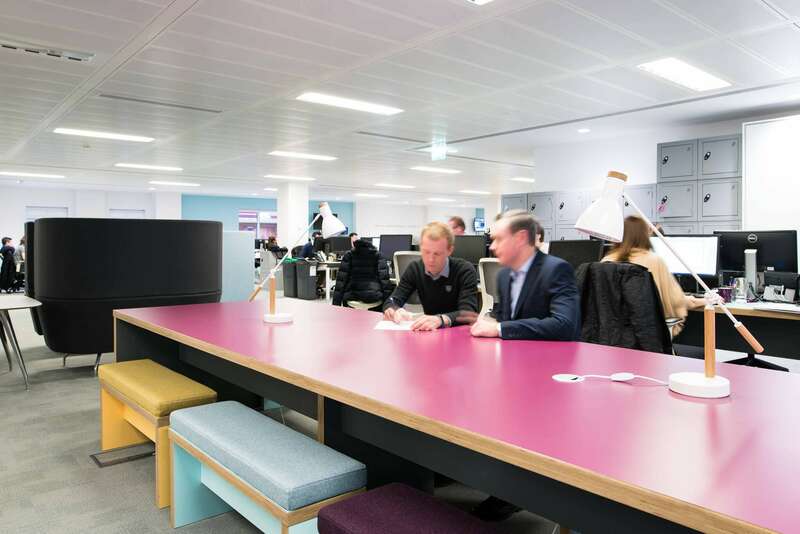 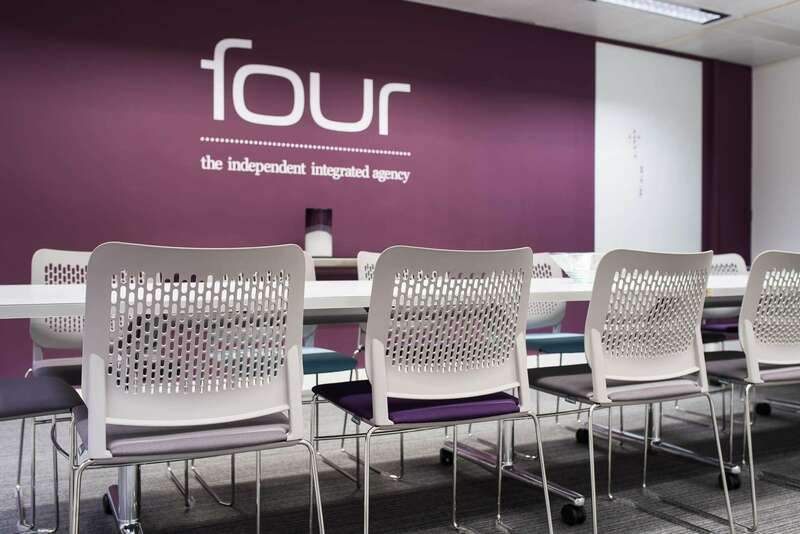 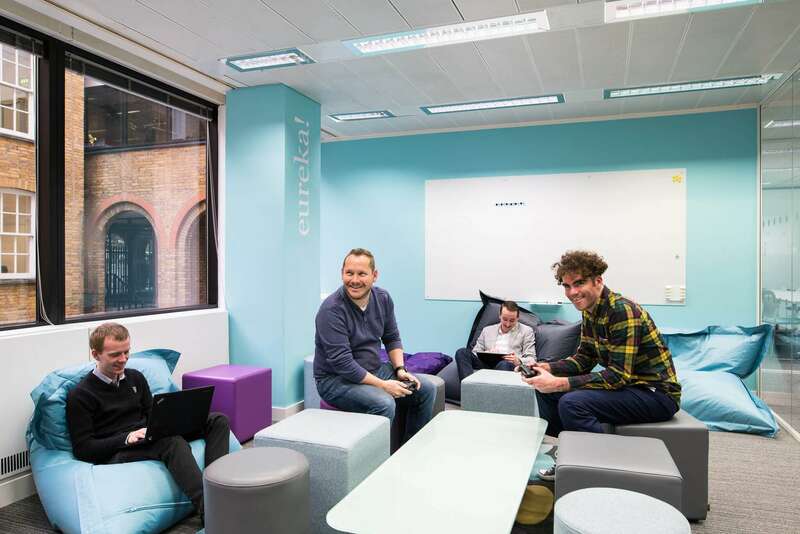 The laminate on the tables and seats was matched to the Four Communications Group corporate scheme and this added colour and inspiration to a group work area. 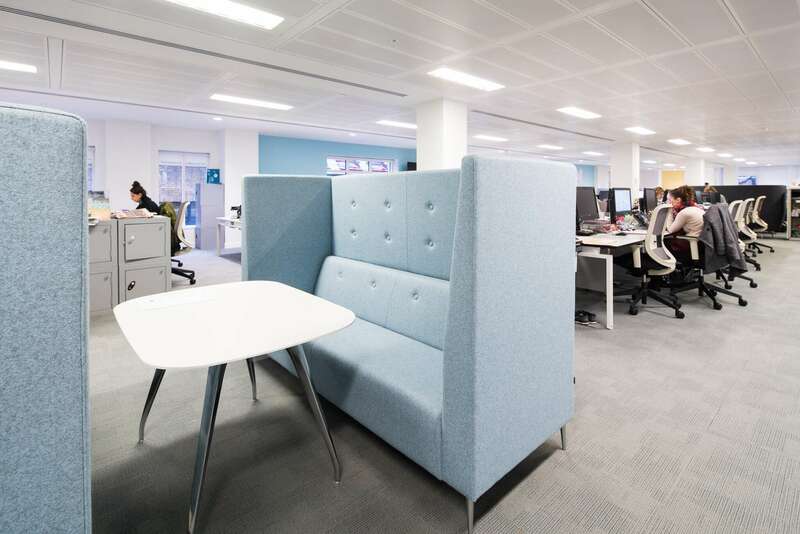 Feast benching is also space efficient, perfect for a large company with a high number of staff who need a lot of room to accommodate them all comfortably. 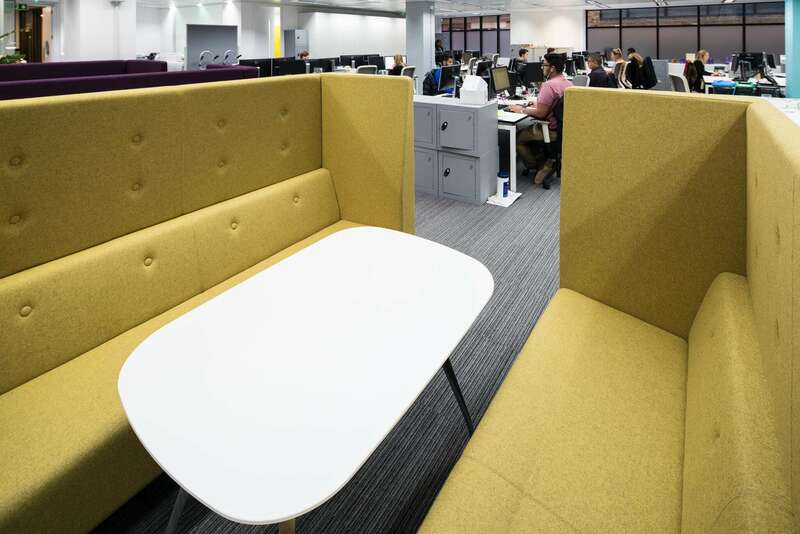 We supplied furniture for their meeting room which included sleek and modern chairs with upholstered seats in the corporate colours. 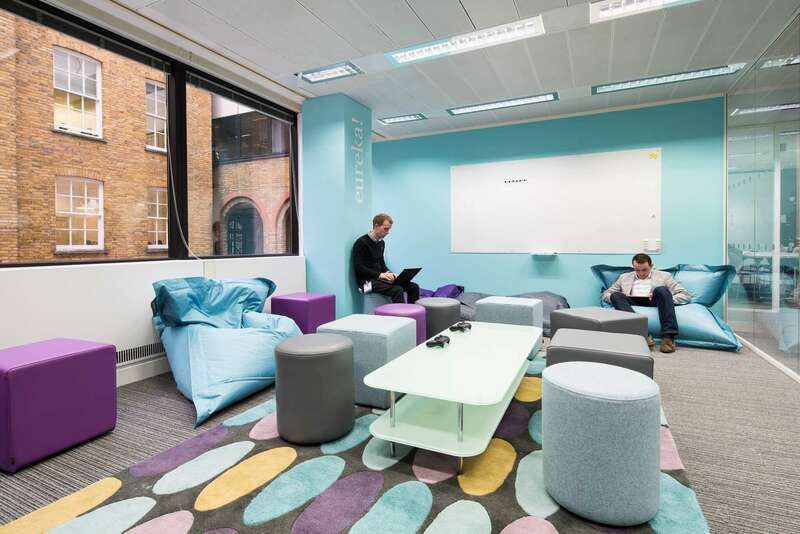 We also designed and created a brainstorming / gaming room for working in quiet, or alternatively relaxing during downtime. 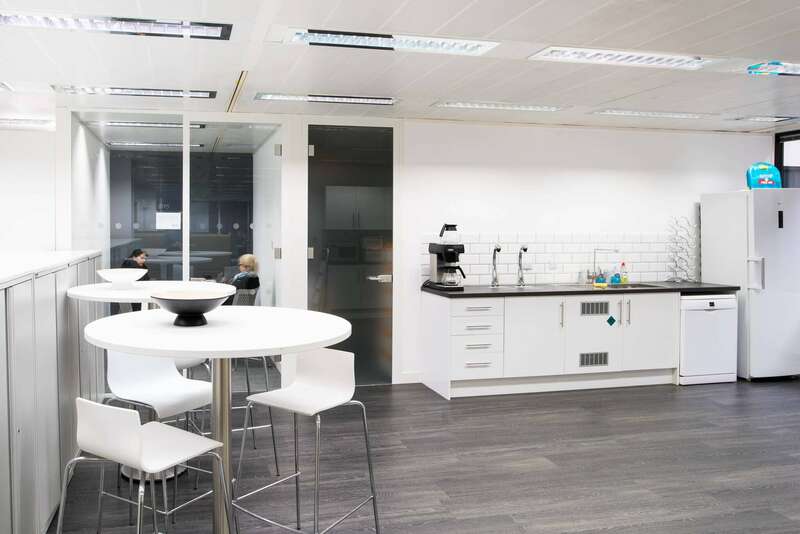 The client was very pleased with the project, with much of the works completed after hours to minimise disruption. 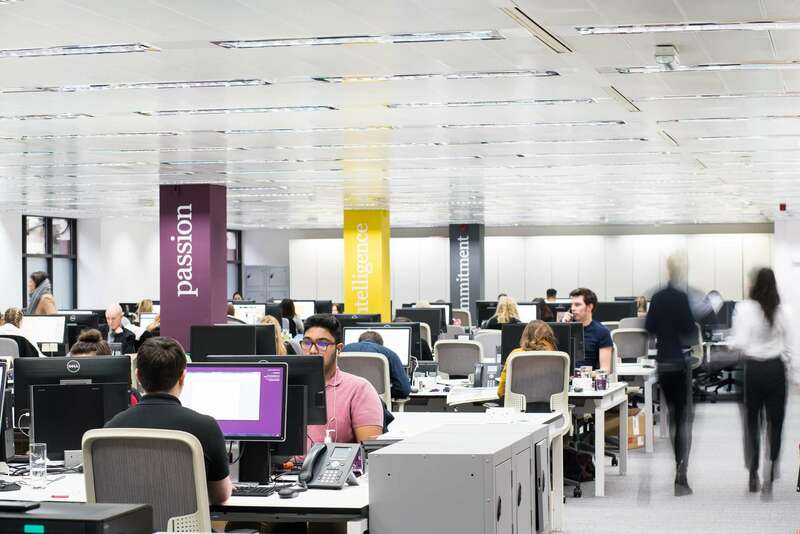 The staff are happy, management are happy and we’ve had a great team working with us, so it’s been easy from start to finish.